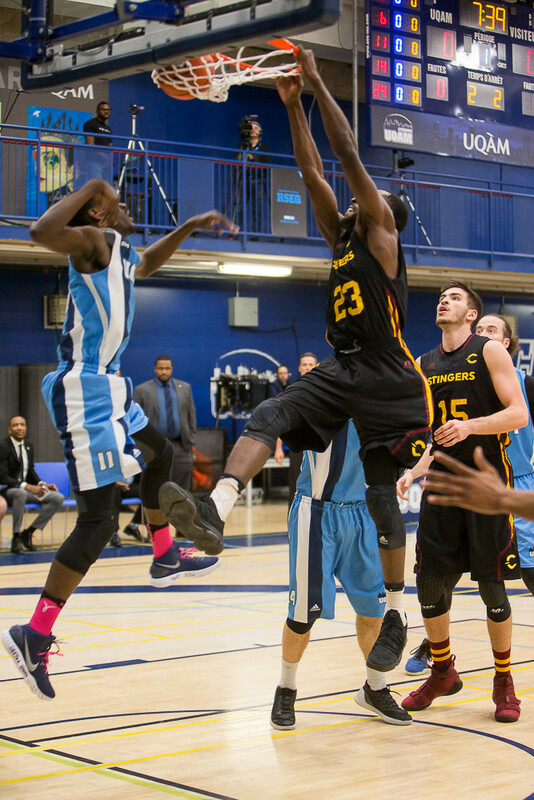 Thursday night, the Stingers men’s basketball team visited the Citadins of Université de Québec à Montréal in hopes of bouncing back from their bad loss to McGill the previous weekend. 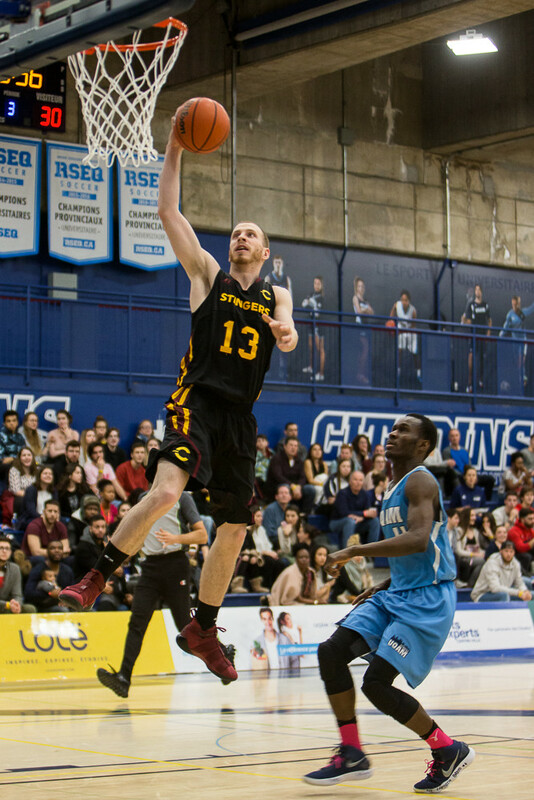 With the Citadins mathematically eliminated from playoff contention, Stingers head coach Rastko Popovic was aware that they could just be looking to play spoiler. The Stingers appeared well prepared for the task at hand, though. “I think the first half we were fantastic defensively,” said Popovic. And he was certainly right about that. The Stinger defense was stifling, allowing the Citadins to score just 19 points through the first two quarters. 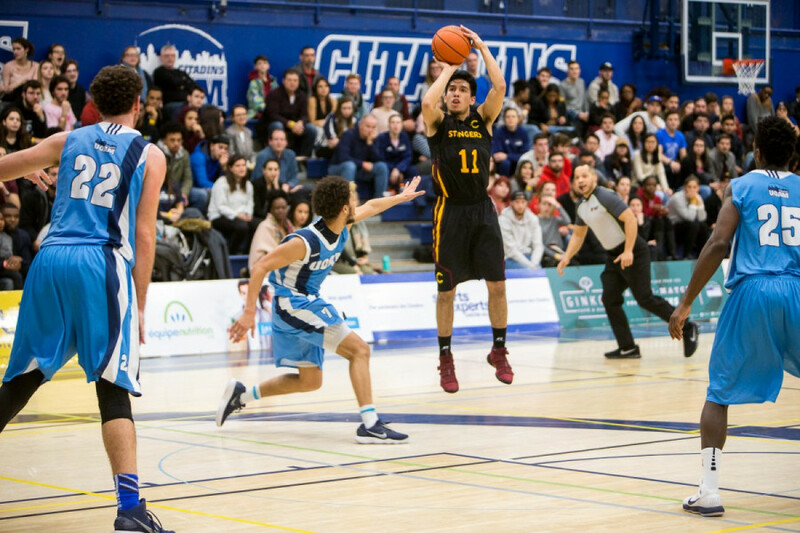 Despite holding leads for the majority of the game, the Stingers suddenly found themselves in a tie game with two and a half minutes to play. Popovic turned to the veteran leadership of forwards Schneiders Suffrard and Ken Beaulieu to get him through the situation. A timely three-pointer by guard Ricardo Monge and some clutch free throw shooting down the stretch ultimately helped them pull away. Beaulieu scored a game-high 17 points while collecting a team-high nine rebounds. Monge chipped in with 12 points while Suffrard dropped 11. The team will next head to Lennoxville to face the Bishop’s University Gaiters on Friday night before returning home to play the Université Laval Rouge et Or the following day. 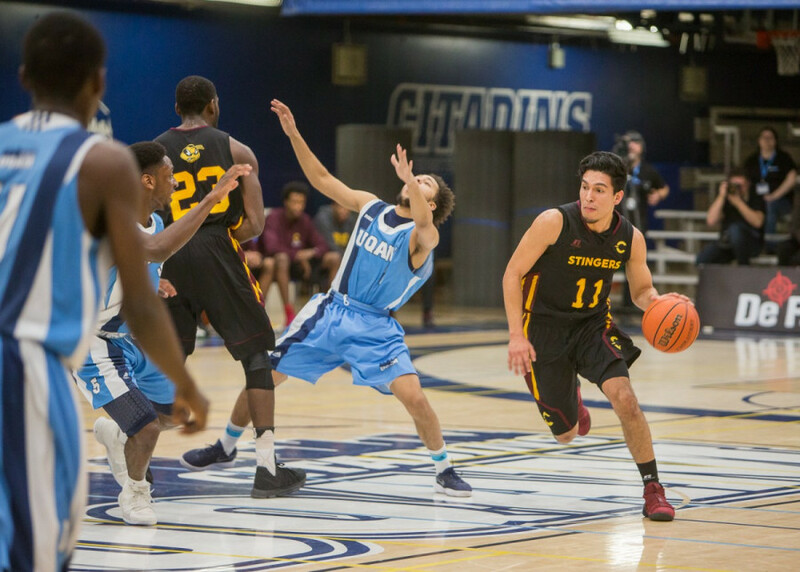 Though they’re guaranteed a playoff spot, the Stingers will still be balling on a mission.